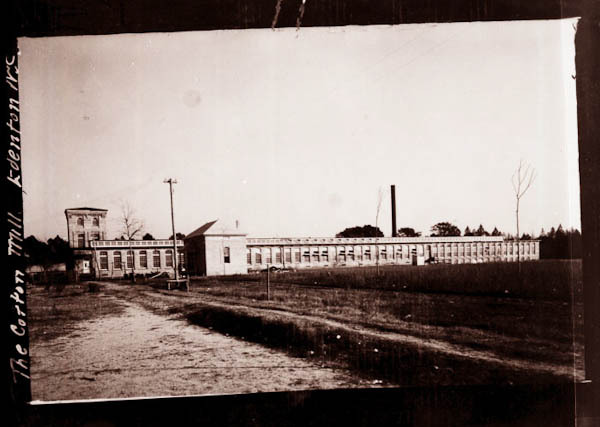 The Edenton Cotton Mill in 1910 — just 10 years after the building was completed. The Edenton Cotton Mill was organized and funded in 1898 by nineteen local residents who wished to provide a market for the region’s cotton growers and thereby keep the industry’s profits in the area. As the founders intended, the mill became and remained a mainstay in the local economy until its closing. It was consistently profitable, with the exception of losses for four years during the Great Depression. Although the mill maintained the village, it did not operate a general store. Thus, the villagers patronized local businesses, further contributing to the local economy. 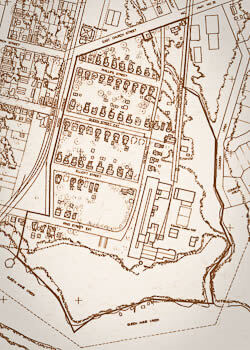 Map showing the Mill Village outlined with dark border. On the Village ballfield, with the Mill in the background. The mill building was designed by C. R. Makepeace and Company of Providence, Rhode Island. It is a handsome example of an Italianate Revival brick industrial complex, a style that was popular in turn-of-the-century North Carolina. Defining the building’s character is the repetition of large segmental arched windows and projecting ceiling joists. Its three-story water tower is decorated with corbeled brickwork. Mill worker Madge Whitehurst in the 1950s. The original building was completed in 1900, with most of the construction materials provided by local contractors. The two-story addition on the south end of the mill was begun four months after the mill began operating. Extensions, shops, and storage buildings were added in 1904, 1906, and 1909, and the brick smokestack was added in 1913. 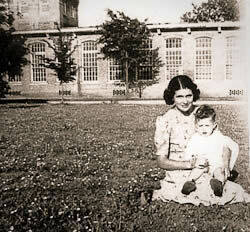 The windows were bricked in the 1960s when the building was air-conditioned. The brick mill office on Elliott Street was constructed in 1909 and doubled in size with a western addition in the 1950s. 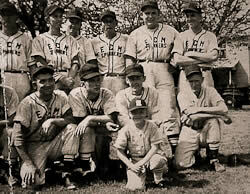 Edenton Cotton Mill "Spinners" baseball team. 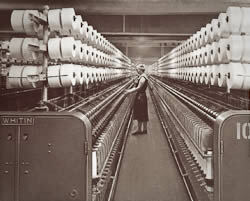 The mill, one of only two spinning mills in the Albemarle area (most textile mills were located in the Piedmont region of the state), continued in local ownership until February 1990, when it was sold to Pioneer Yarn Mills of Sanford, NC. Pioneer was acquired in 1993 by Unifi of Greensboro, which closed the mill in late 1995 and donated it to Preservation North Carolina. This gift set in motion a ground breaking project for the organization to preserve the intact Edenton mill complex and to initiate an industrial heritage program at other historic mills around the state. Between 1899 and 1923, the mill built more than 70 dwellings for its workers. While the simpler dwellings are vernacular in origin, the large dwellings for mill managers reflect the early 20th century Colonial Revival style. Mill Village home in 1932, with outside well pump. The earliest houses are the vernacular structures on the south side of Queen Street and the north side of Elliott Street. 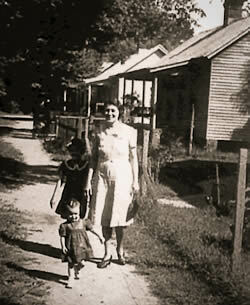 Many of the single-story, three room houses were built as duplexes, with a separate door into each one-room apartment and a shared kitchen ell. Others had one door, with apartment entrances off a central exterior entrance. The earlier houses had plain faç ades with shed porches; later houses were built with the addition of a false central gable. Over the years these houses were converted to single family houses, but many of the second doors remain. 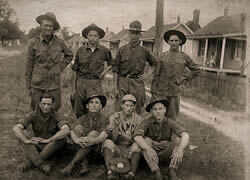 National Guard posing in the Mill Village. 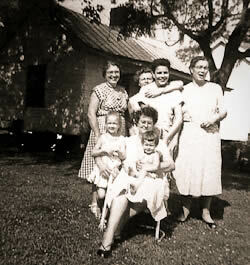 Mill Village residents in 1959. First Christian Church dinner on the grounds, 1970s. Since most of the workers were former farmers, management made the village as open and rural as possible. 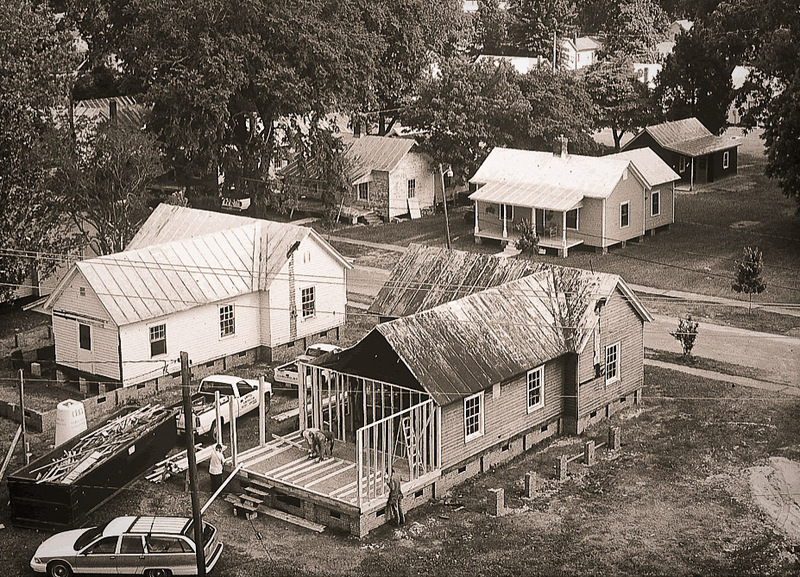 Early photos show the entire back yard area in cultivation, with rows of privies down the center of the block. 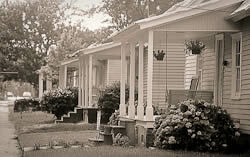 The village has maintained this rural “feel,” even within two blocks of main street, with the curbless streets and extensive open space. The Edenton Cotton Mill Village was listed on the National Register of Historic Places in February 1999.